Perhaps one of the best games on this list, Running Fred is a game we've featured before. The goal is to get away from Death while running a gauntlet of tricks, traps, and bottomless pits. 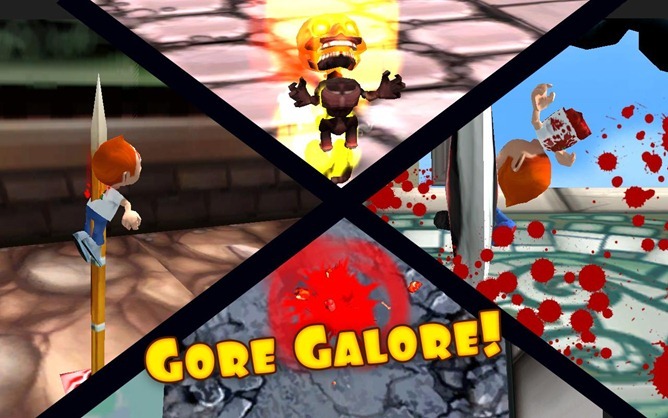 The game is colorful and cartoonishly gory. The Zeemote makes controls much easier for those who, like me, grew up used to buttons and control sticks and aren't used to these crazy tilt controllers. 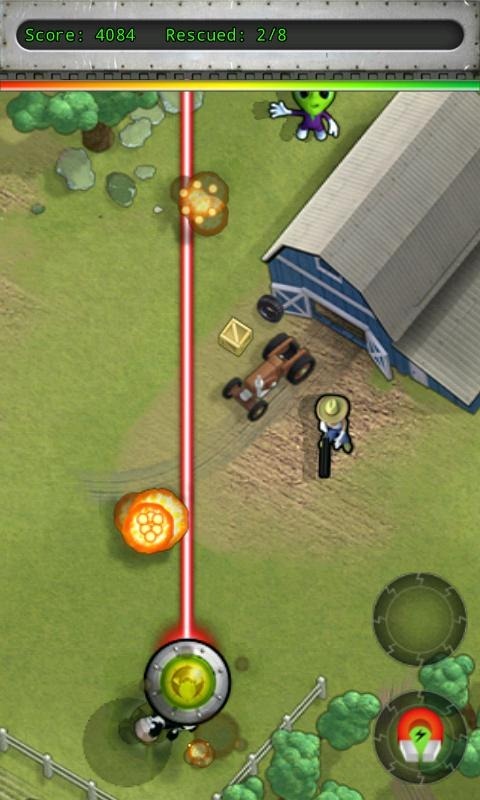 Speedx 3D has a startlingly beautiful visual style. 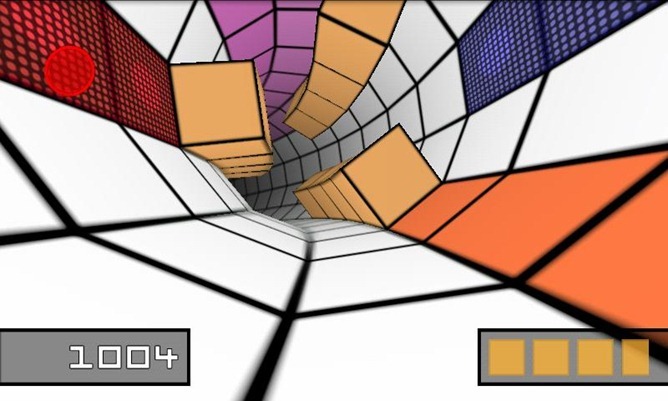 This geometric space-based (if it's based anywhere) running style game. 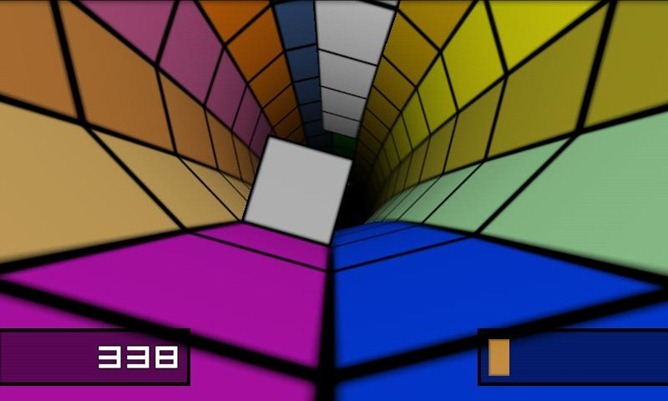 There's no character you play, but you begin in a long tunnel and the goal is, simply, to avoid obstacles. It starts out easy, but as you progress, it gets increasingly difficult as your tube-shaped world opens up, flattens out, turns inside out, goes dark, and generally screws with your perceptions of reality. 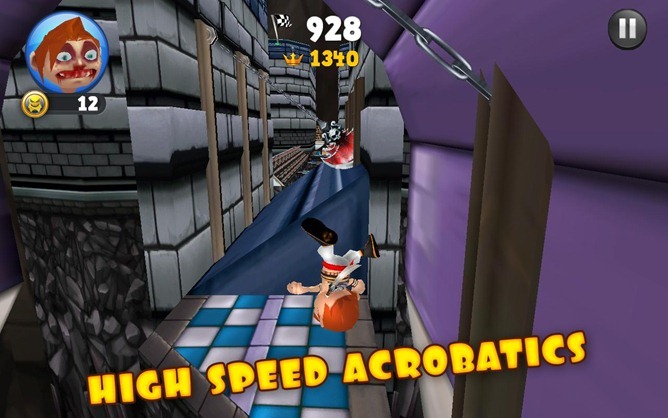 Like Running Fred, the Zeemote provides a welcome alternative to tilt-based controls. This one's for you nostalgiacs out there. 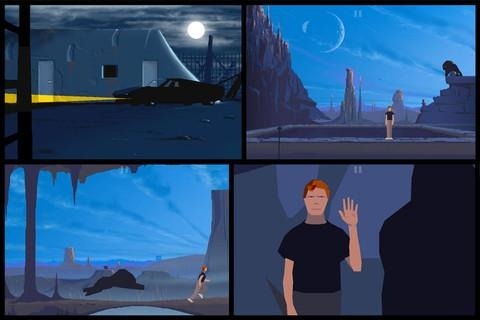 Another World is a cinematic platformer from the early 90s. 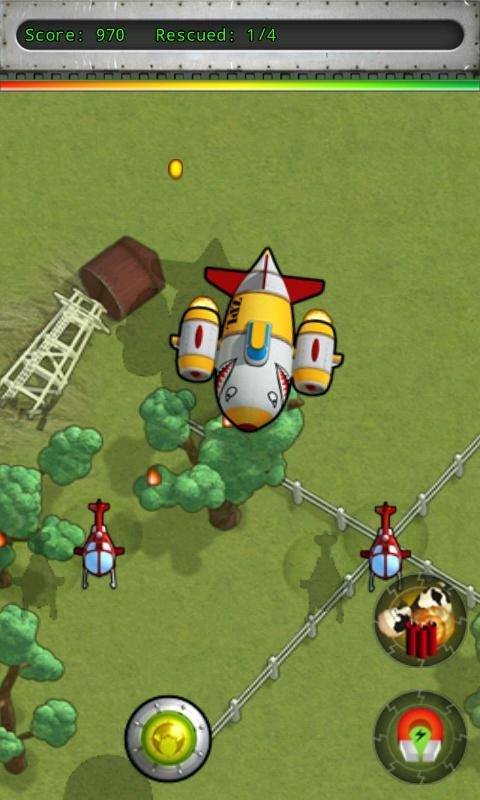 This version has been updated with smoother graphics and all the same content from the original. The story goes that Lester Knight Chaykin is a physics researcher whose experiment goes horribly wrong and he ends up hurled into another world where he has to fight the alien creatures. So that's where you got the idea, Valve. 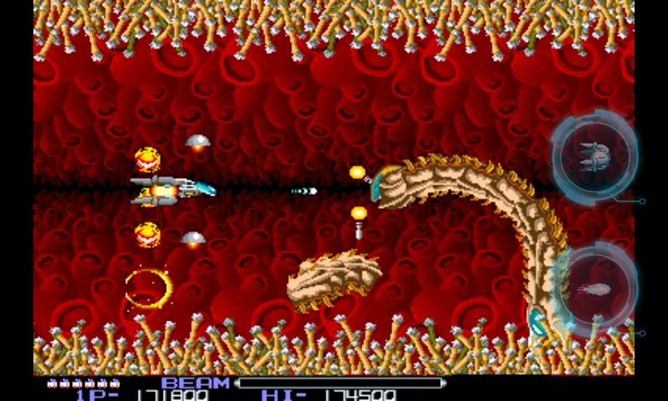 R-Type is another throwback to the old days of gaming. 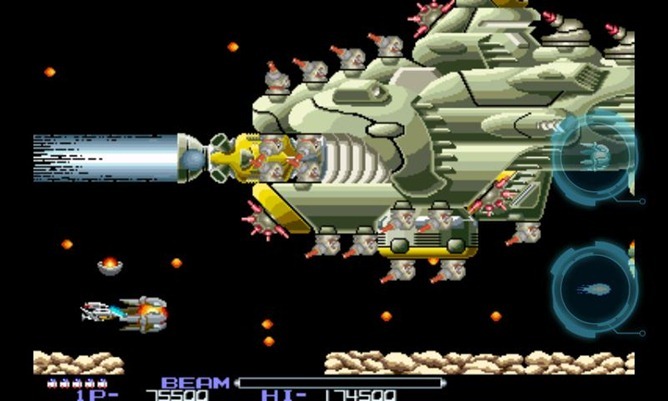 This side-scrolling space shooter is just like the R-Type from the 80s. 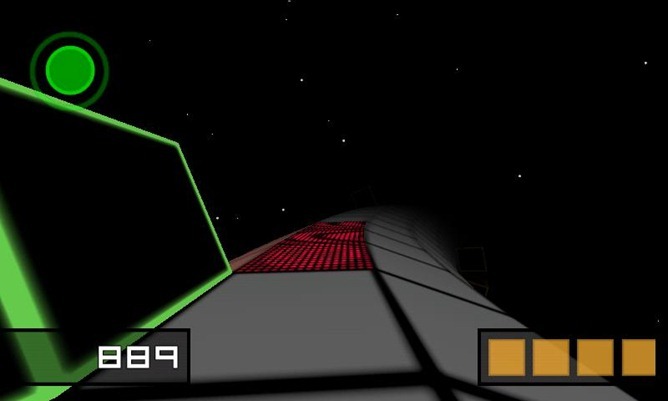 Power ups, space aliens, and exploding ships await. 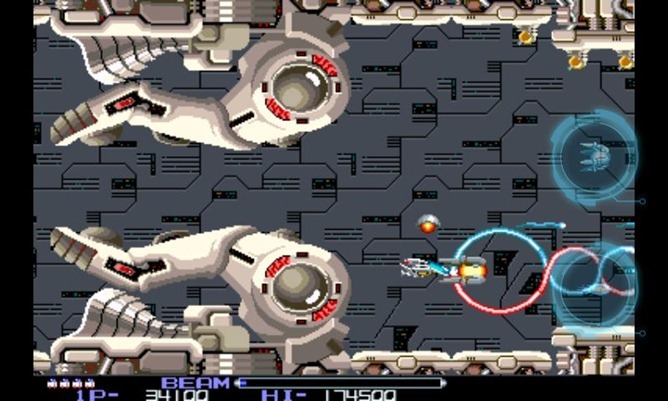 In this instance, the Zeemote feels more appropriate than the touchscreen as this game was originally an arcade classic. A physical control stick was what this game was designed for. Beyond Ynth is one of those games that makes me glad I write words for a living and don't speak them. 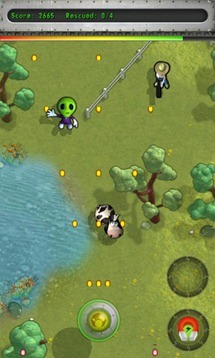 While I might have no clue how to pronounce this game's name, it's a fun puzzle game. 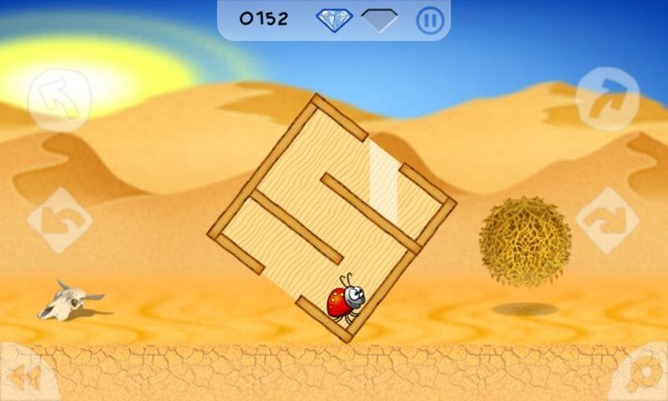 You're a bug with the strength to move boxes. 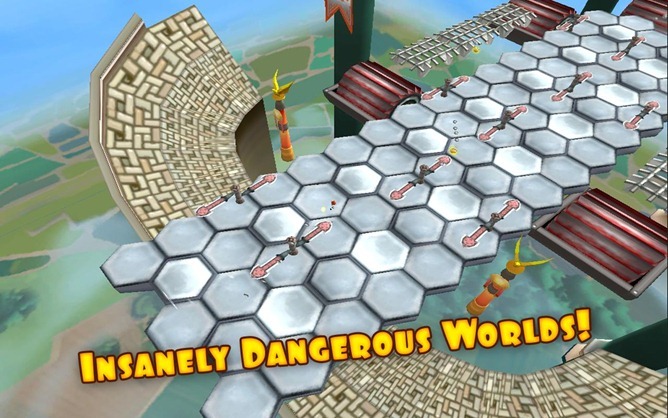 The goal is to get from the left to the right of the play area while collecting whatever items are in your path by rolling boxes and jumping around platforms. 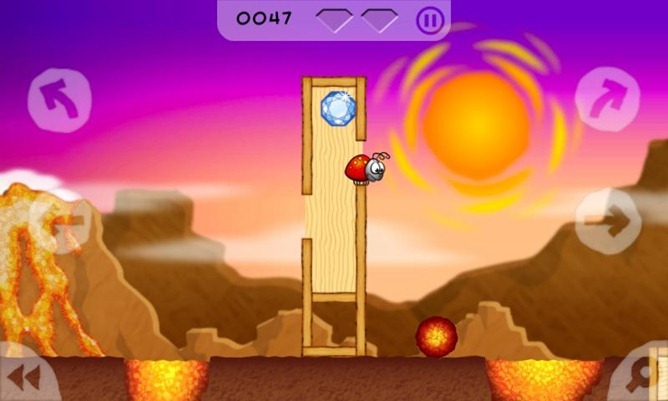 This game requires one of the Zeemotes buttons to jump in conjunction with movement. This can get a little difficult on the tiny Zeemote, but not unusable and the game is delightful. 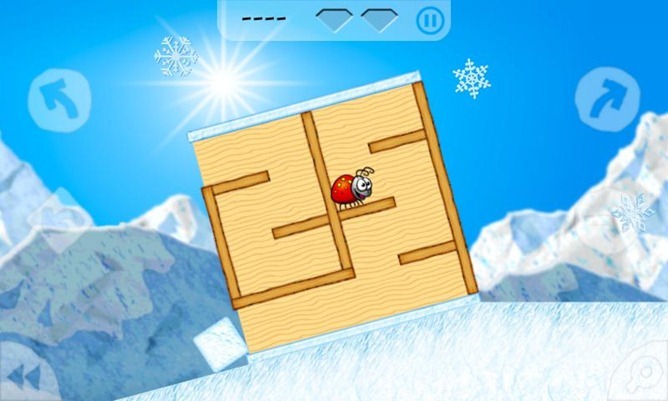 If you're not up for plunking down the $4 for this game, tryout Beyond Ynth Xmas Edition for free. 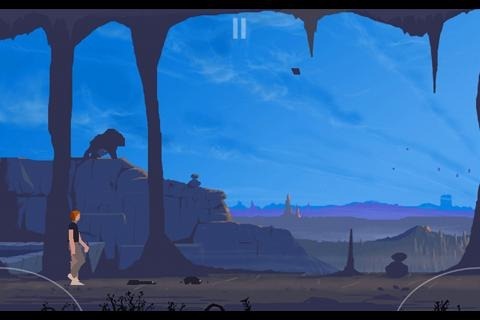 If you enjoy it, consider supporting the developer with the paid version. 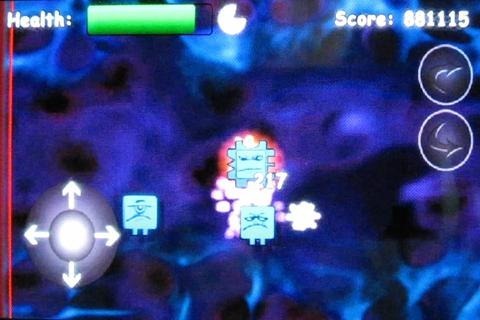 Antigen is a scrolling puzzle game on a microscopic scale. 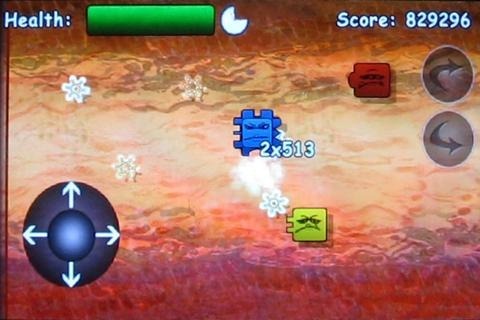 You play as Totally Not Thwomp as you attempt to fend off an invading force of germs. Rotate yourself to match up the proper side of your immune system body to match the puzzle-piece bodies of the various viral infections as they fly by to neutralize them. This game requires both of the upper buttons on the Zeemote to turn in either direction. They're so close and so small, though, I stuck to pressing A rapidly to turn one direction, which is less efficient, but also less of a strain on the hands. While I mentioned in my review of the Zeemote that the accessory works best with tablets, this game doesn't seem to have a very tablet-friendly UI. That being said, its cartoonish design and ability to throw exploding cow-strapped boxes more than makes up for it. 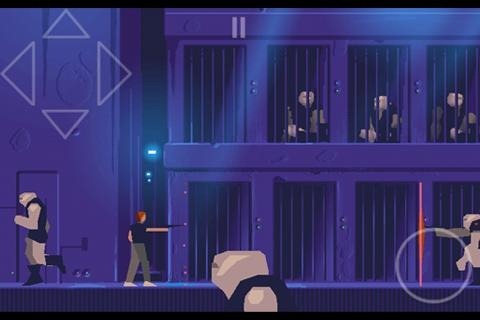 A top-down scrolling shooter, you're an invading alien with the mission of picking up your fellow aliens and fending off the authorities. It's always more fun to do the destroying anyway. The Zeemote's site has a list of some more games if you want to explore, but these are some of the ones we thought were the best. We'd still like to see more games come out that support this accessory, but these should keep you entertained until our next giveaway.